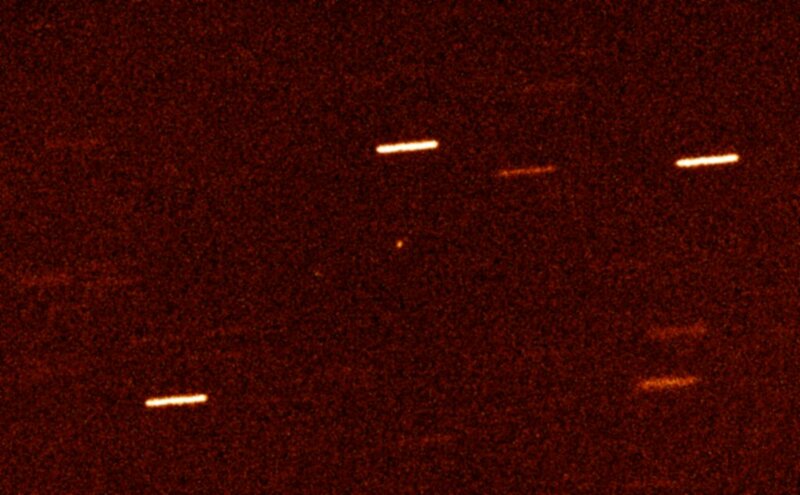 A/2017 U1 is the first known small body from interstellar space. It is visible in the centre of this 5-minute exposure using the ACAM imager on the William Herschel Telescope (WHT) on October 28, 2017. At the time of the observations, the WHT was able to lock on A/2017 U1 while it was travelling at a speed of 26 kilometres per second (the background, much more distant stars appear streaked because the telescope was tracking the motion of A/2017 U1). 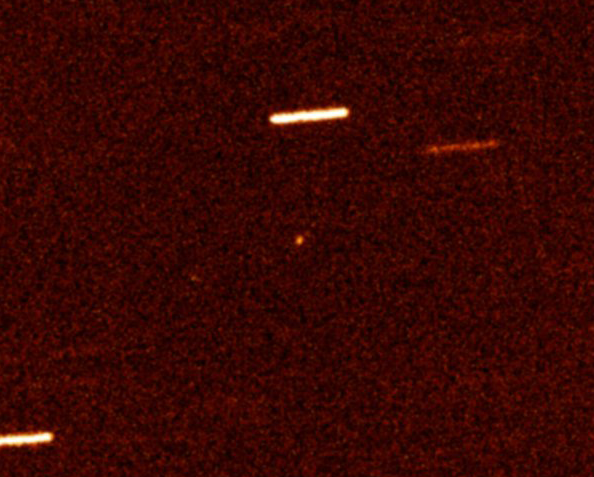 The interstellar visitor looks like a point source and it is probably an asteroid-like object, with no signs of cometary activity. Credit: Alan Fitzsimmons (ARC, Queen's University Belfast), Isaac Newton Group of Telescopes, La Palma, Spain [ JPEG ]. A/2017 U1: An Interstellar Visitor, Astronomy Picture of the Day, 3 November 2017. Interstellar visitor, BBC Radio4, 23rd Nov, 2017.